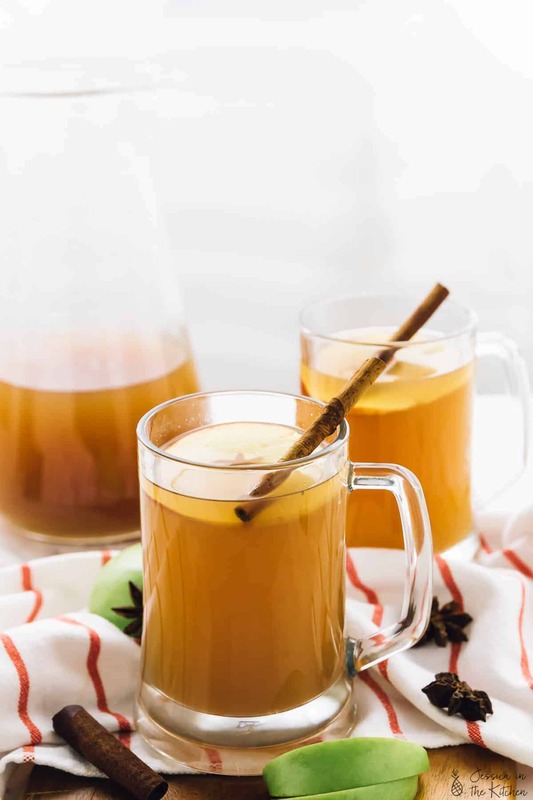 This Warm Spiced Apple Cider will warm you up this holiday season! It’s made in your slow cooker, makes your house divinely fragrant, and tastes absolutely amazing! When it comes to the holiday season, we are absolutely in love with all things celebrations and traditions in our household. As the Mr. and I teamed up to complete the final steps of straining this Warm Spiced Apple Cider while listening to Christmas music, we realised just how delightful of a tradition it would be. The spices. The fragrant aroma throughout the house. That feeling of the warmth hitting just the right spot as you take a sip. 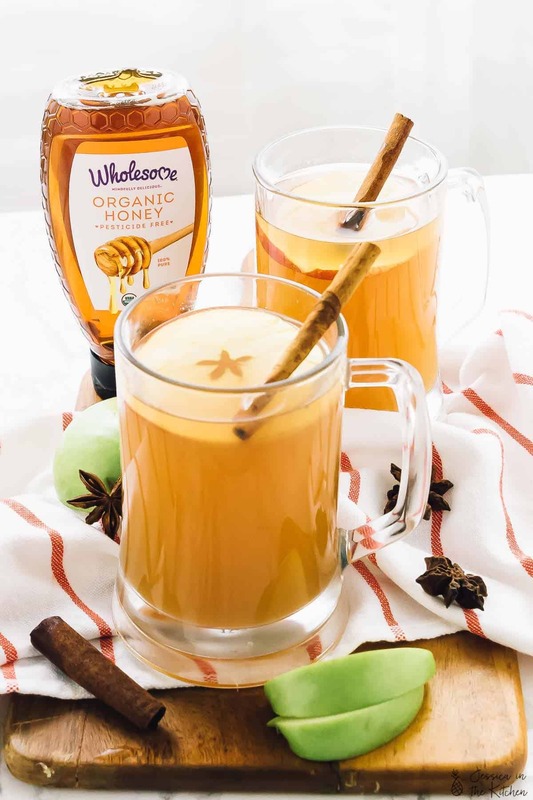 Every part of this spiced apple cider experience was exactly right, and one we had to share with you guys. It was love at first sip, for sure. 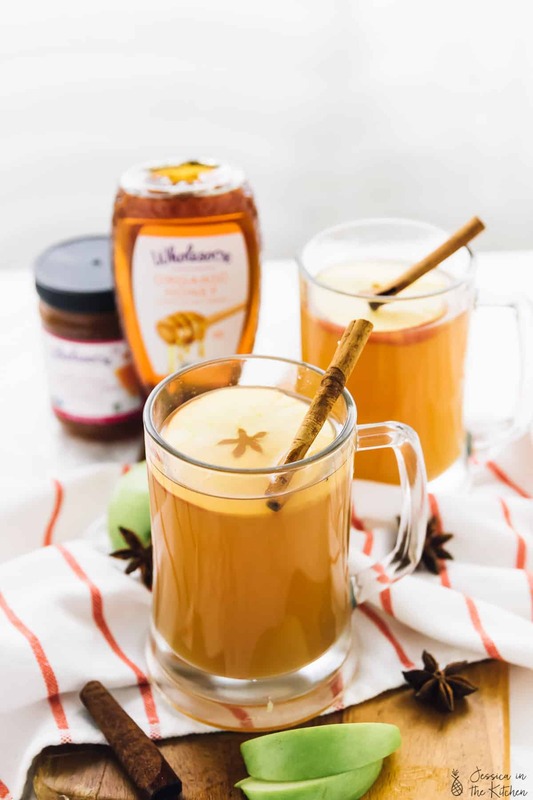 We are always looking to add new, easy traditions, and making this Warm Spiced Apple Cider has officially made our list. This was our first time making spiced apple cider at home, and friends, this experience is something everyone should do. The house is filled with the amazing aroma of the various holiday spices and that sweet apple scent that brought us to the memories of family and togetherness. 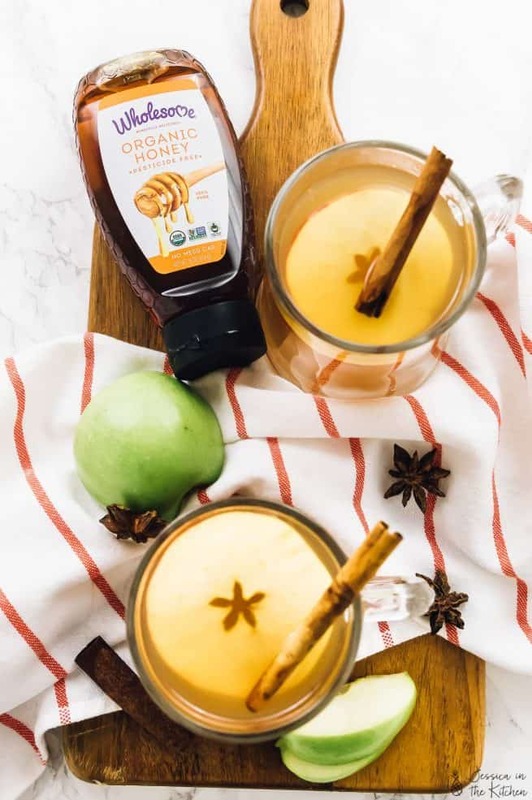 The distinct apple taste is only made better by the addition and sweetening of the cider with the amazingly clean sweet taste of Wholesome Organic Honey to sweeten this spiced apple cider. Now, I’ve been a Wholesome fan for a while. 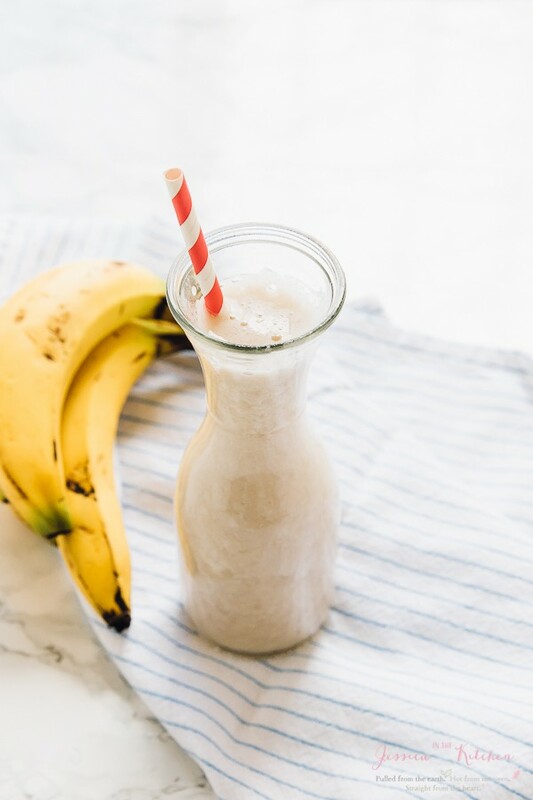 We use their unrefined sugars in well, literally every single recipe that requires sugar, and I love their dedication to providing a truly organic, free from artificial and high quality product. This organic honey falls within those same lines. First of all, it is pesticide free (unlike most honeys – this is BIG news friends) so it is truly organic and also antibiotic free. Know that you’re using the best of the best honey product there is for you and your family. We always load up on honey especially during the holiday season since it happens to also be cold and flu season. No one wants that. 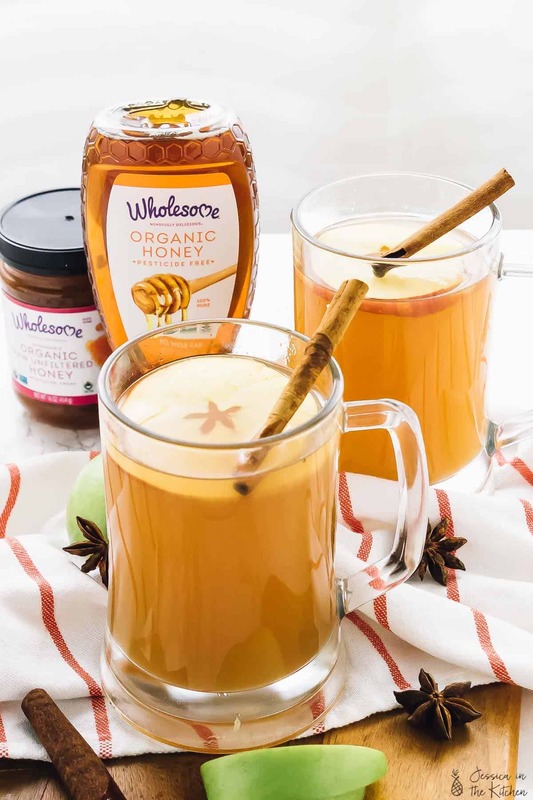 I love that this spiced cider not only tastes divine for kids and adults but also ends up providing protection for cold and flu season, keeping us all safe and sound. Win, win. 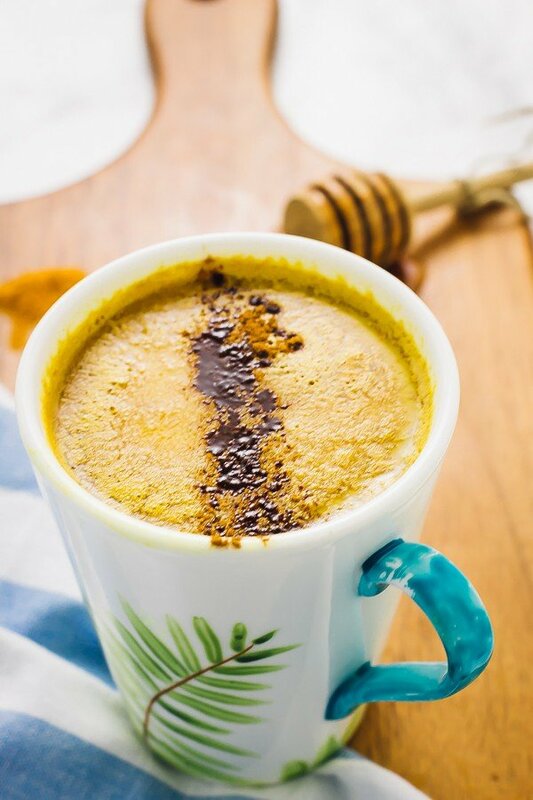 Their recipe page also has lots of great recipes that incorporate the honey that you buy in the best way. You can even use this coupon code to save up to a $1 off your Wholesome purchase, available November 17! Other reasons I love Wholesome Organic Honey? It is fair trade (which makes me feel AMAZING to be using this company’s products), Non-GMO verified, and something that is EASY to find in my local grocer. Honestly, I ran to the baking aisle to grab this honey. You’ll love using it here! You can definitely learn more about the honey here. So, the steps for this cider. It is such an easy and fun recipe to make and really brings the whole family together to make it. 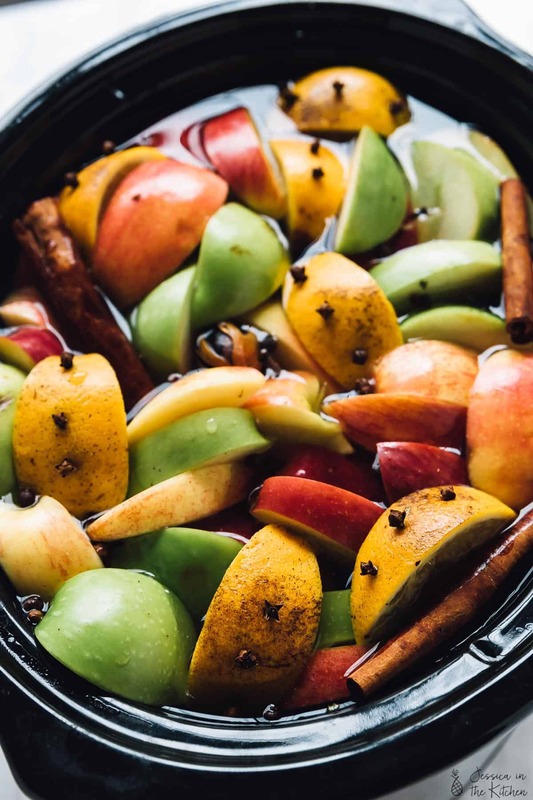 It starts really easily – by chopping up your apples, your orange, and adding in your spices to your slow cooker. You can easily rough chop this since you’ll be straining it, so it can take as little as 8 minutes (that’s what it took me) to chop and have it in the slow cooker. I would definitely PEEL the orange, since the rind can make your cider bitter. We gave it a try both ways and it was even better sans orange peel. Easy, peasy. Add the water, and stir and set the lid on. I slow cooked mine on high for 4 hours, but I can totally see this going for 7-8 amazing hours just making your house smell divinely fragrant the whole time. Ugh, so heavenly. Every time I came into the kitchen I said “omg, what’s that? !” in delight then remembered that this was going in the slow cooker. Anyway, an hour before it’s going to be finished, just mash all the fruits with a potato masher. They should be soooo soft, and this really brings out the smell and all that flavour. I love to sweeten it at this point because the Wholesome Organic Honey sweetener really adds depth to the flavours. I love that you can decide how sweet or spiced you want your spiced apple cider. We love it on the sweeter side, but also used a lot of Granny Smith apples in our cider, which are more tart. If you end up using mainly red apples, taste test until it’s the sweetness that you want. It’ll be amazing either way. You can easily pick up the honey online by checking out their online store. Then comes the straining. Using a cheesecloth is the best method, but if you don’t have one on deck, you can double strain your product. Done, and done. It’s time to cozy up and enjoy this. Several “samples” later and oohs and ahhs we declared this a true winner. 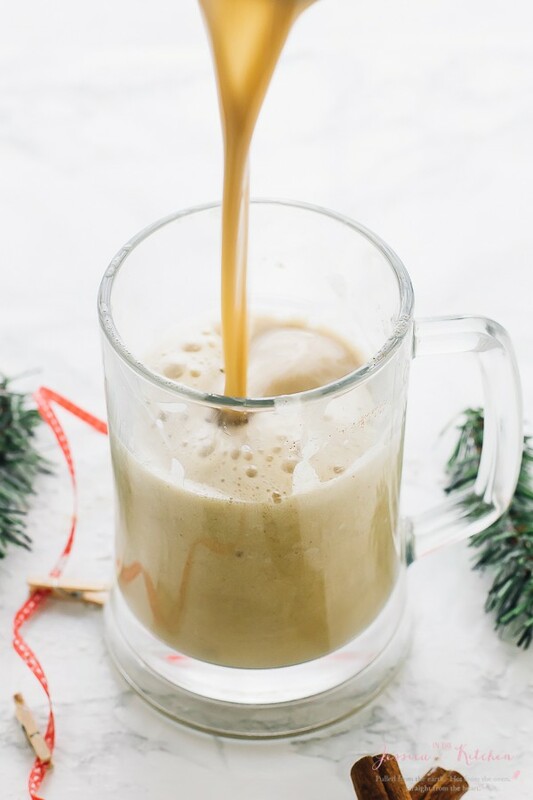 Try this beauty this holiday season and add it to your holiday traditions. I know it’ll bring you and your family real joy. Enjoy, friends! P.S. If you want to find a store that sells Wholesome Organic Honey near you, you can use their store locator to easily find one. Roughly chop the apples, and cut the orange (peel removed) into quarters. Add to your slow cooker along with all the spices and the filtered water. 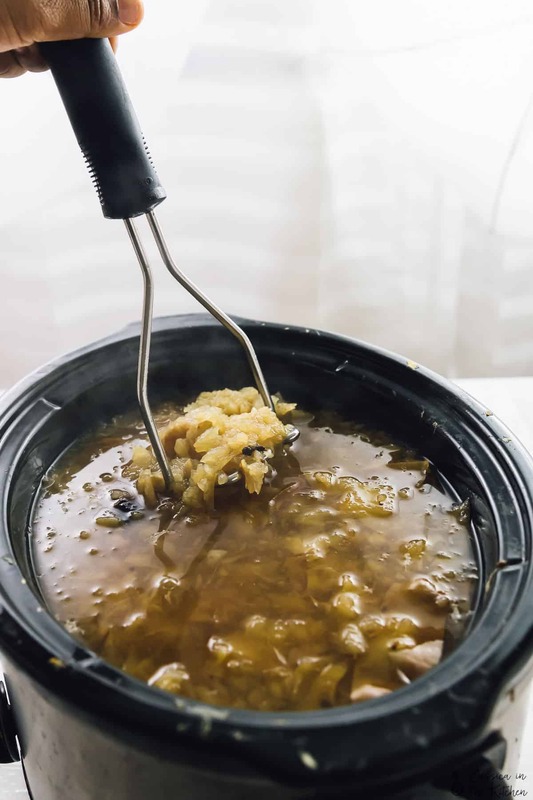 Stir to combine and turn your slow cooker on for 7-8 hours on low heat or 4 hours on high heat. One hour before your spiced apple cider is ready, using a potato masher, mash all of the fruits. They should be very soft and easy to mash. Mash until all the fruits are mashed. Add the Wholesome Organic Honey at this point. If you like it barely sweet, you can add the ½ cup. If you like it on the sweeter side, but not overly sweet, you can add ¾ cup. You can always add more later. Allow the cider to cook for the last hour, and then strain. We like to double strain it (strain once, then repeat the process) using a fine meshed sieve, and you can also use a cheesecloth for added precision. Serve warm and enjoy! You can freeze this recipe for several months to enjoy all winter long. 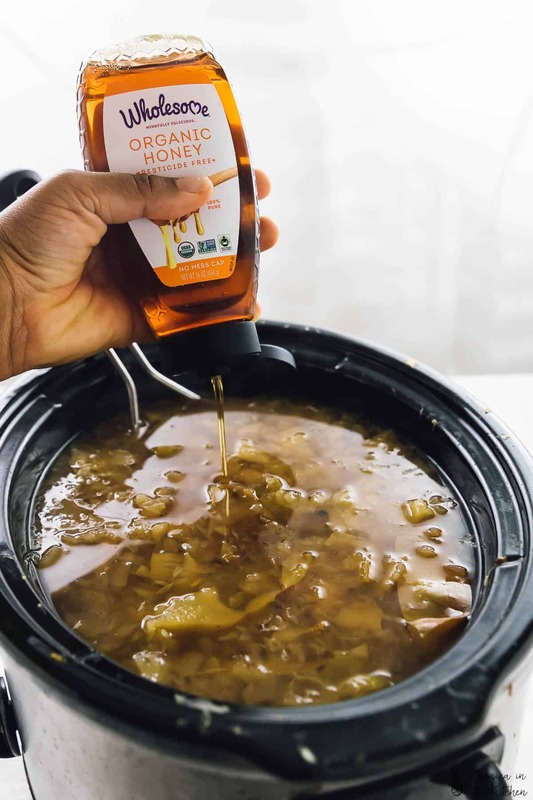 You’re so welcome and I am so happy that the post helped to bring this awareness to you and to introduce you to the Wholesome Organic Honey brand!! It also tastes phenomenal and also comes in a raw and unfiltered version too that is also organic, so there’s a lot of variety. I really hope you enjoy this recipe too! It really hit a spot with that warmth on a cold rainy night!! 🙂 Thank you so much for your comment! Wonderful pictures, I just bought some pears. It is time to try this new recipe for my family. I would use them instead of apples. I will let you know the result after I make it.